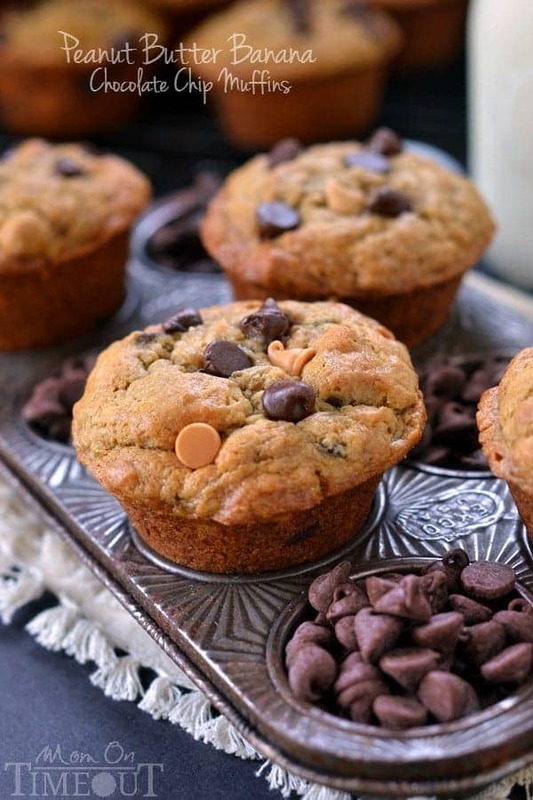 Incredibly moist and delicious Peanut Butter Banana Chocolate Chip Muffins packed with peanut butter flavor and sweet morsels of chocolate. For mornings when you just need a little chocolate. We interrupt the pumpkin and apple programming to bring you some CHOCOLATE! Today, however, it’s all about my all-time favorite, can’t get enough of it, want to marry it, peanut butter and chocolate combo. Life just doesn’t get any better. Unless, of course, it’s pb and chocolate for breakfast. While I was in my room trying to figure out what shoes/boots were appropriate to wear to a walnut orchard for my Diamond trip on Friday (more on that later), the timer for the oven went off and I totally didn’t hear it. I walked in a few minutes later and was super bummed to see some pretty brown muffins. And not the pretty brown we all know and love. I let them cool for a few seconds before giving one a try. Despite being over-baked, it was amazingly delicious! 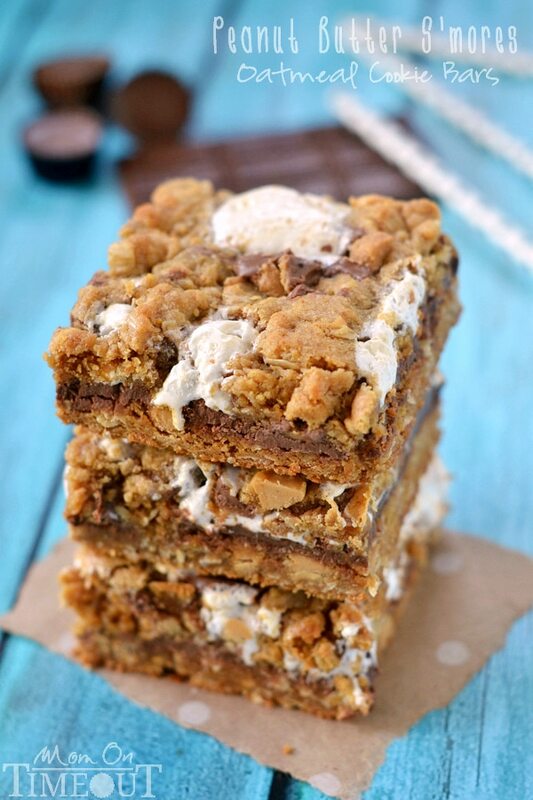 So peanutty and fabulous…I had to make another batch! Fortunately I had jut enough ingredients to get another batch in the oven and this one turned out beautifully. 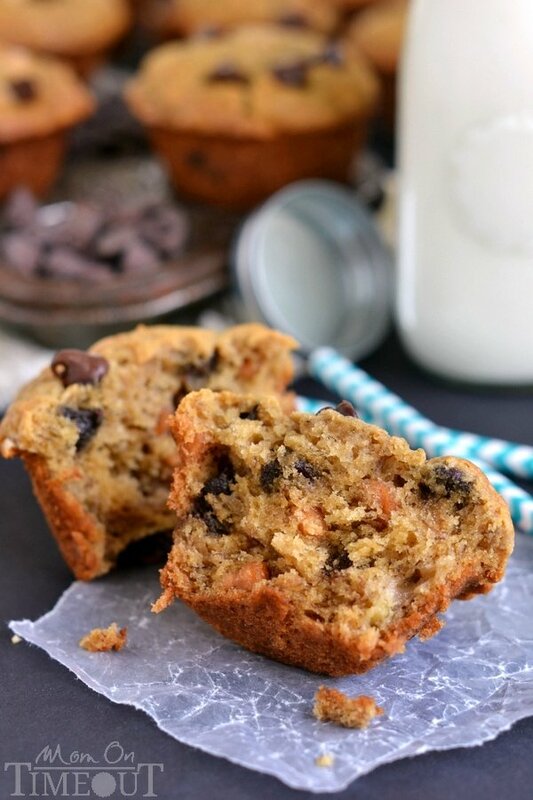 These muffins are fairly dense just like a traditional banana bread but just smack of peanut butter flavor. 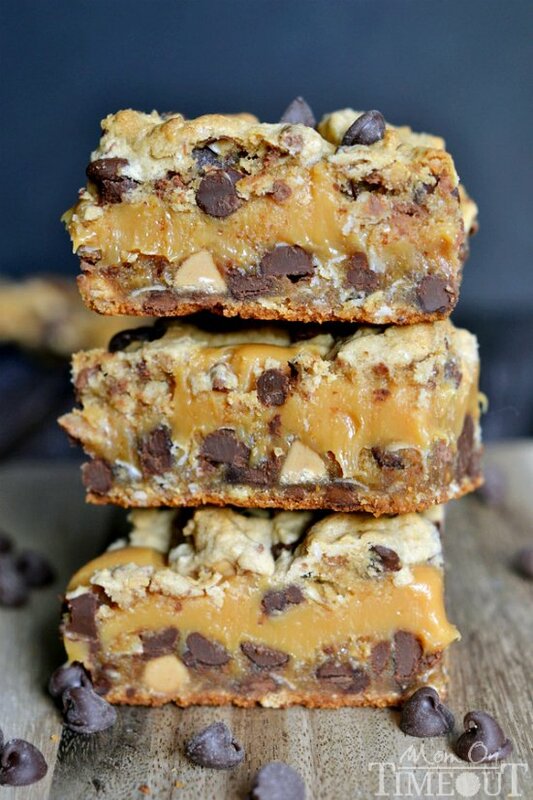 Studded with semi-sweet chocolate chips and peanut butter chips, you get the perfect amount of chocolate and peanut butter flavor in every bite. Now you’d think we’d have tons leftover seeing as how I made two batches of these muffins. Nope. Gone in the blink of an eye. They seemed to become everyone’s favorite breakfast as well as the snack of choice for after school and late night. Can’t say that I blame them. 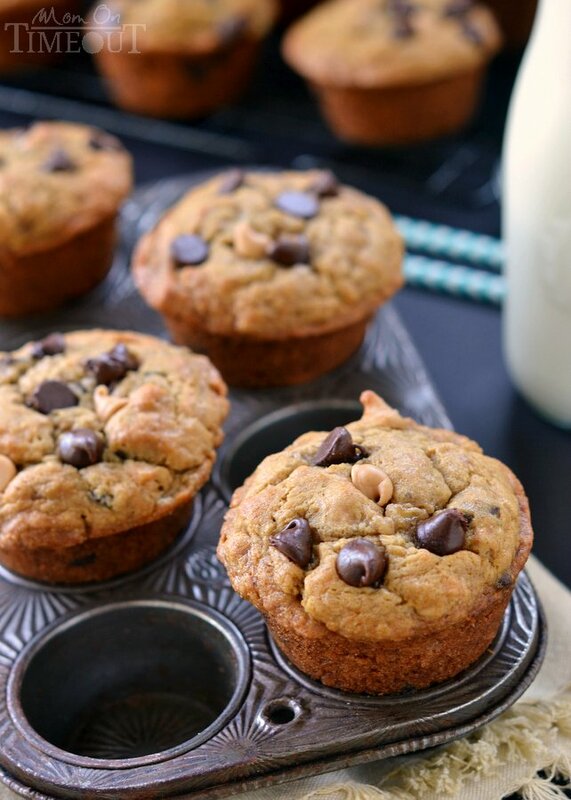 The best way, and dare I say the only way to enjoy these muffins is with a big, cold glass of milk. Perfection. 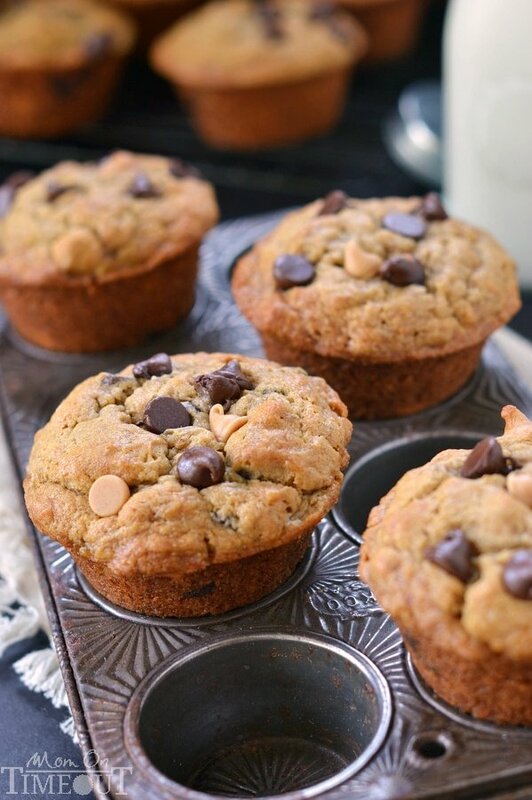 Incredibly moist and delicious Peanut Butter Banana Chocolate Chip Muffins packed with peanut butter flavor and sweet morsels of chocolate. For mornings when you just need a little chocolate. Preheat the oven to 325 degrees. Peel and mash the bananas. Add in the egg, butter, peanut butter, brown sugar and vanilla and mix until well combined. Combine 1 cup of flour and remaining dry ingredients, reserving ¼ cup of flour. Add the dry ingredients and stir just until combined. Do not overmix. Combine Reese's peanut butter chips, and chocolate chips in a bowl. Sprinkle remaining ¼ cup of flour over the chips and gently coat the chips with flour. Add to batter and mix just until combined. Lightly grease a muffin tin or line with baking cups. Divide batter evenly among 12 cups. Bake muffins for 20-25 minutes or until golden brown. Let the muffins cool slightly before removing from tin. Enjoy! Craving peanut butter? Check out these great recipes! 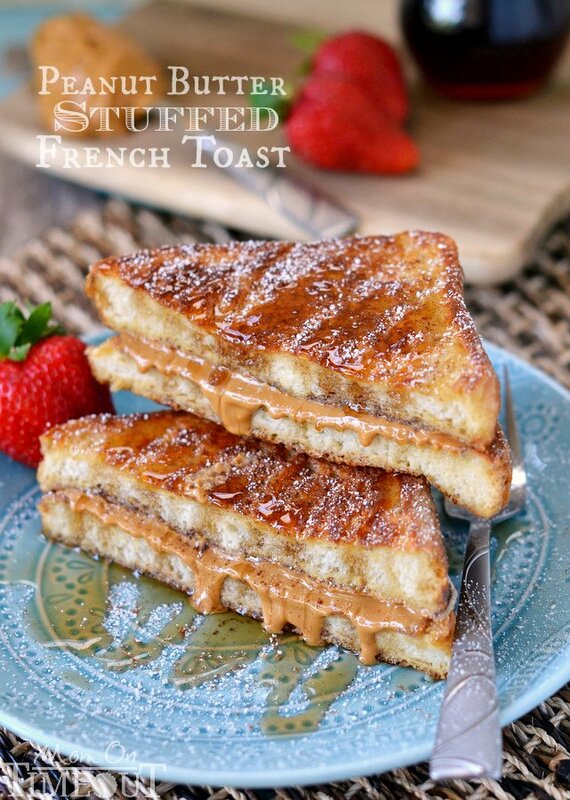 For all peanut butter recipes, go HERE. Delicious! Everybody raved about the flavor and how perfectly these muffins looked. I thought they were a little better still slightly warm from the oven, but that didn’t stop us from gobbling them up the next day, too! Fresh from the oven they ARE irresistible! Thanks so much Frankie! 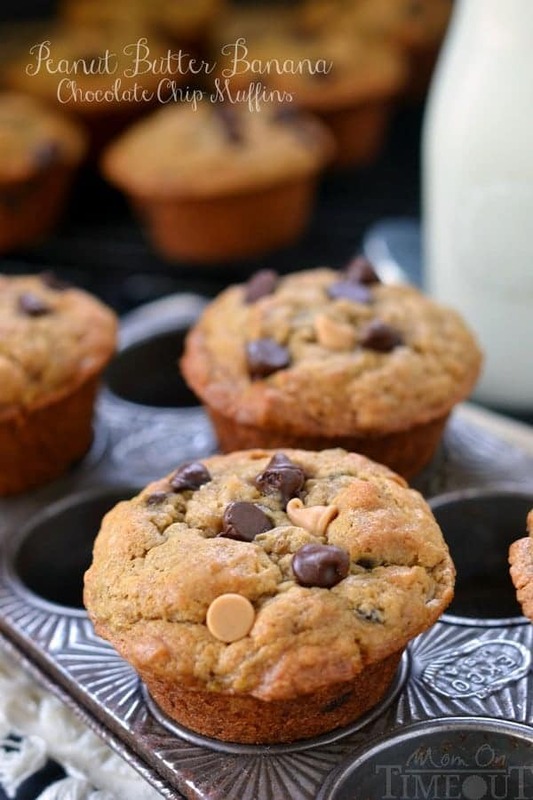 Thank you for sharing the incredible Peanut Butter Banana and Chocolate Chip Muffin recipe! I made 12 muffins and still had batter for a small loaf. It was so moist and delicious. TRISH! These muffins are BOMB! Would these freeze well? I am about to leave town, but don’t want to give these bad boys away. Call me selfish, I cant deny that! They freeze great Alyce – so glad you enjoyed the recipe! I have been in a serious muffin mood. It’s just been beyond cold…and snowy. It’s been either hauling endless loads and load of fire wood or getting on the 4 wheeler and plowing until my face is frozen. I needed some cheering up. So, I collected a good handful of various muffin recipes off the internet to try out. I really did not care for the first one, the second one was…okay, and this recipe is the third I’ve tried. THIS one is a KEEPER! The other two I will never make again, these, I absolutely would! In fact, I’m glad I still have more bananas and enough peanut chips to do this again. I might even be willing to share some. 🙂 Thank you for a great recipe. this is a great and easy recipe! the muffins came out delicious!